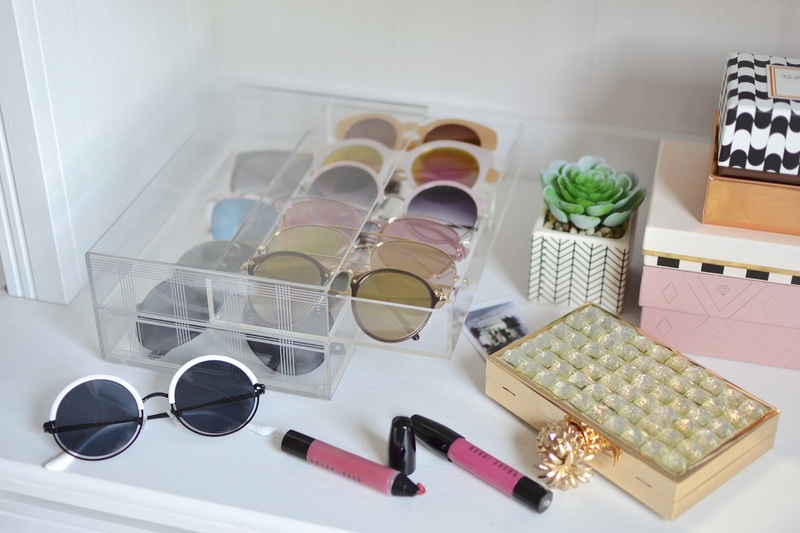 collecting sunglasses this summer and didn't have a proper way to store or organize them. 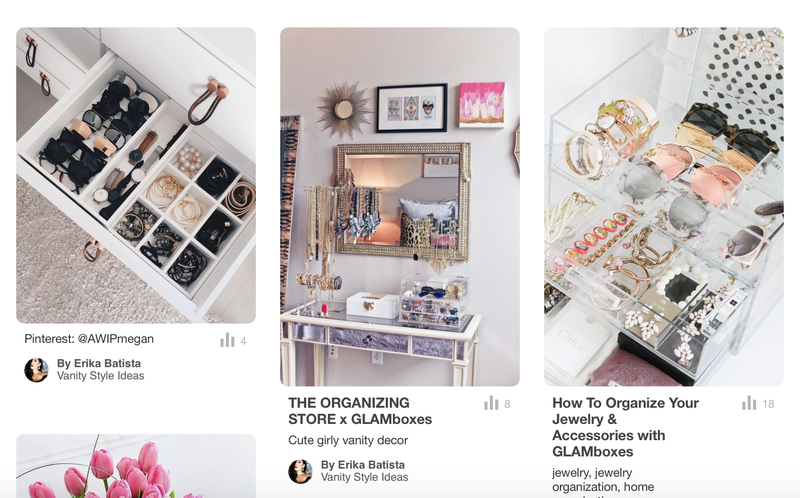 Until Pinterest showed me the way and I got to work and searching for the perfect acrylic drawer storage for them. There are tons of amazing ways to store your sunglasses and you can view them all on this board. For now this is the best I could find for mine an I love that it is stackable! I only found one at Home Goods but plan to get a couple more when I find them. It honestly took forever to find this one but I am happy that I did. Some of these acrylic containers are super expensive, but I found this one for just $20! 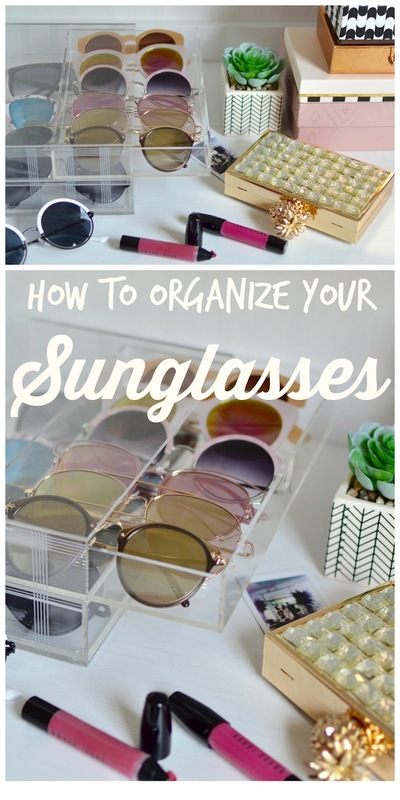 If you are looking for a great way to organize your sunglasses where you can see them as well as keep them clean and scratch free, I totally recommend you do this. It's perfect and also looks pretty, I have this box in my office and looks like pretty decor; win-win! You can also used these as a way to store your jewelry, watches, or other things. I have these for makeup and beauty too and they are perfect. 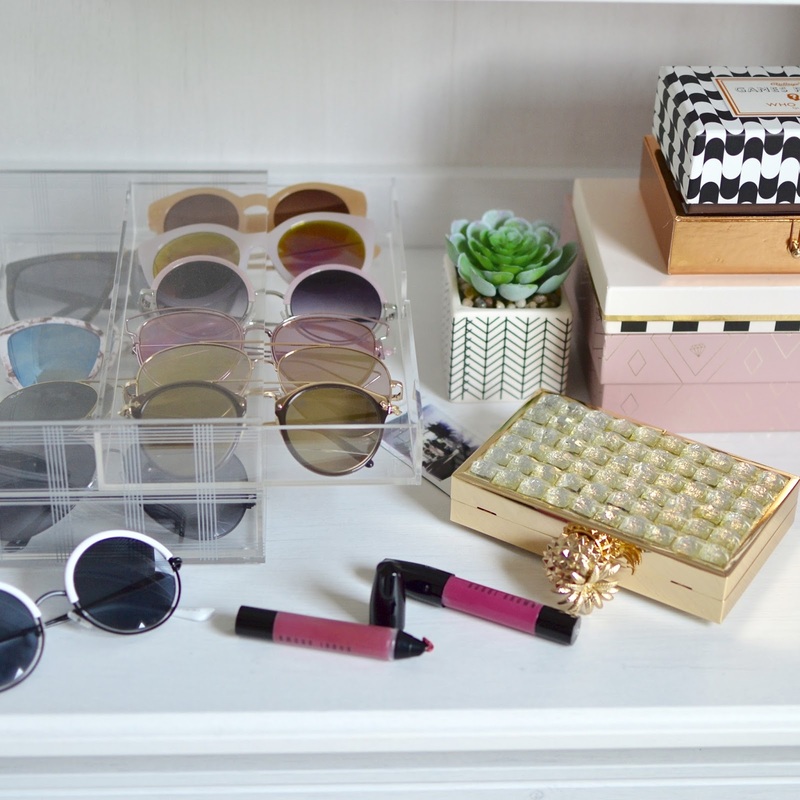 You can see how I organize my beauty and makeup HERE. Have a productive Wednesday babes! Xo.